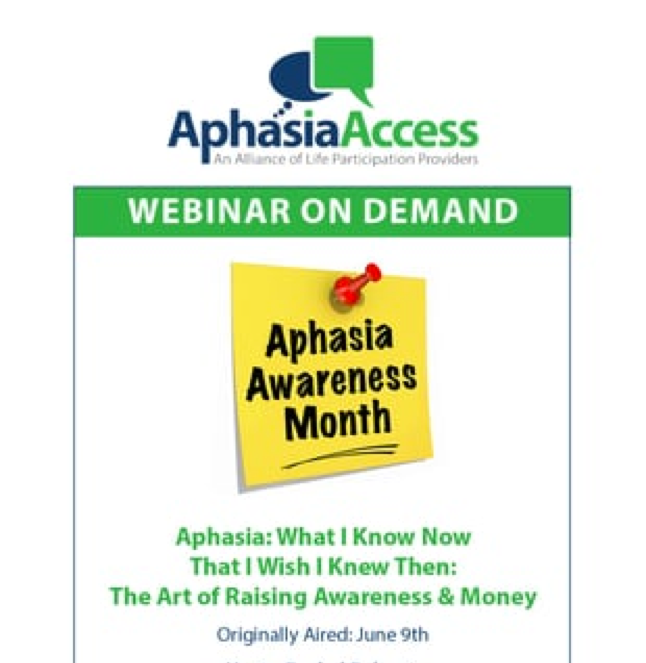 This webinar included some of the most entertaining and influential aphasia advocates of our times. Each one had a dream (or many dreams) and influenced people in positive ways that yielded impressive results. 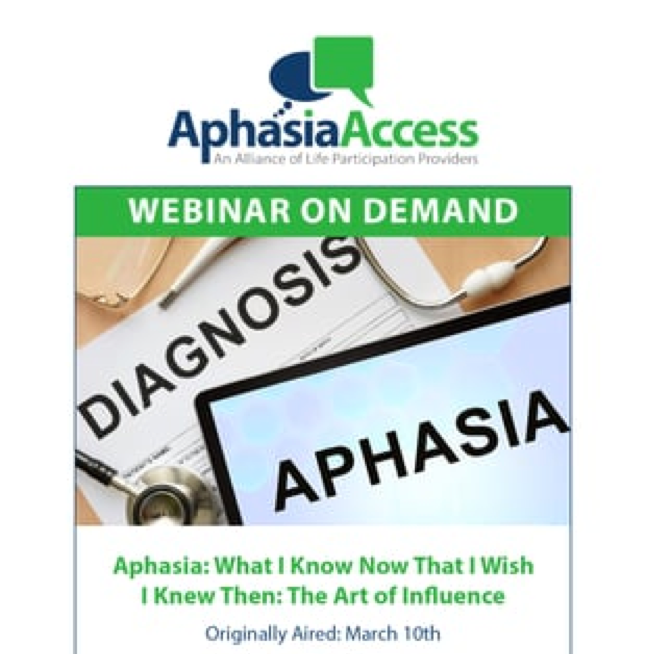 Listen now for inspiration on ways to influence decision makers at your university, healthcare facility, or local community to create better outcomes for individuals with aphasia. Creating effective content for an aphasia program is an art in itself. There are many factors to consider - financial costs, volunteer and staff requirements, and of course, how effective and appealing that content will be to help people with aphasia. 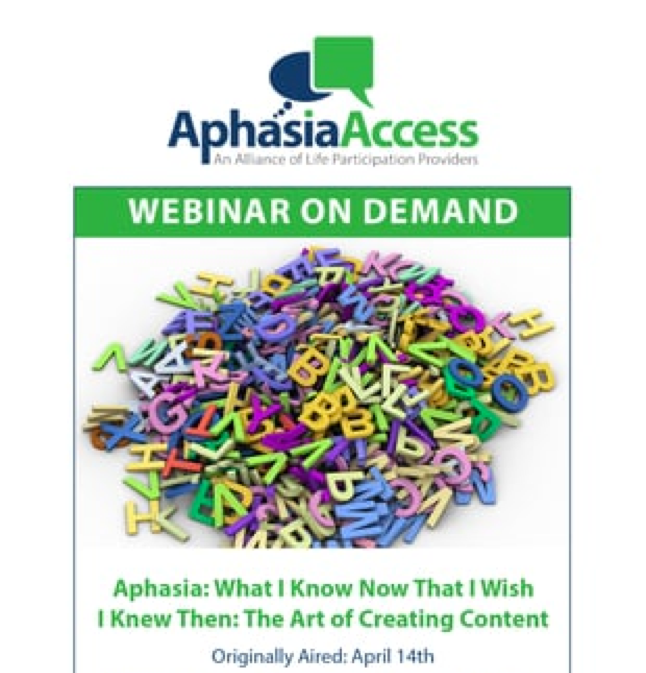 Listen now for lessons learned, tips, and success stories from those who have been creating aphasia program content for years! Rarely is anyone fully prepared for all those "other" skills it takes to grow the awareness and funds crucial to sustaining an aphasia program. Whether your program exists within a medical setting, a university setting, or community-based setting, this podcast will help catapult your skills forward. Experts reveal their most successful techniques, ah-ha moments, and those times when raising awareness and/or money worked for their aphasia program! Communication failure is one of the most common causes of adverse events and dissatisfaction of patients, family members, and staff. 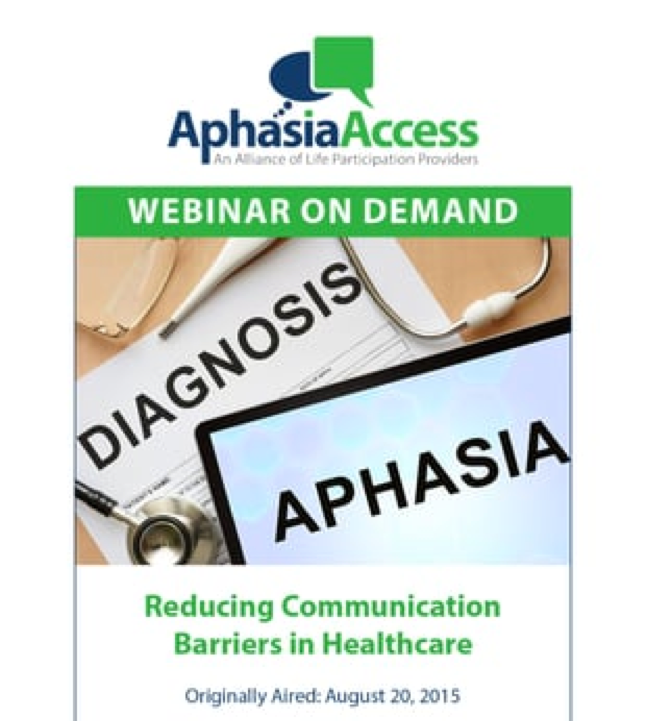 This webinar addresses communication access and health literacy as core features of health care for people with aphasia and related language barriers. Listen now to hear key concepts/approaches to improving communication for individuals with aphasia and convincing arguments/methods to help you advocate for improved policies and practices. 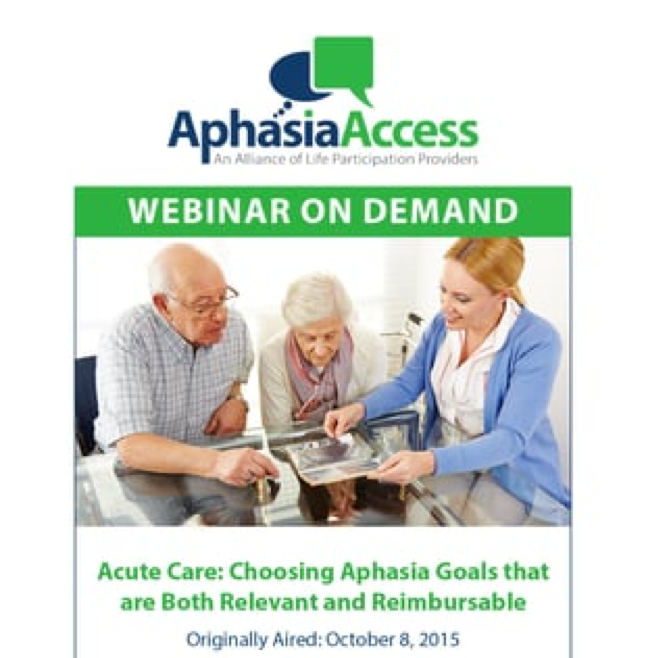 This webinar addresses the challenges faced when working in an acute care setting with persons with aphasia. It introduces practical, reimbursable treatment goals related to participation, communication methods, health information, and education regarding aphasia. Listen now to create treatment goals that address real-life issues and help lower the anxiety, fear, and confusion for patients with aphasia and their family members. 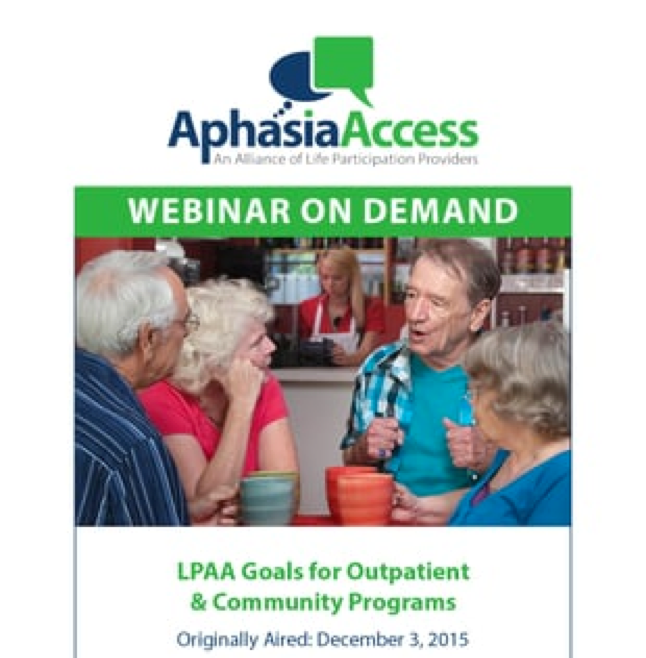 When inpatient therapies end, many individuals with aphasia (and their family members) feel overwhelmed and isolated, but new hope and motivation can be found in the Life Participation Approach to Aphasia (LPAA) values and goals. Listen now to hear specific ways to use LPAA values and goals to respond to the profound desire of individuals and families to rebuild a meaningful life in spite of aphasia, including a different way of thinking about aphasia assessment - beginning with the end in mind.